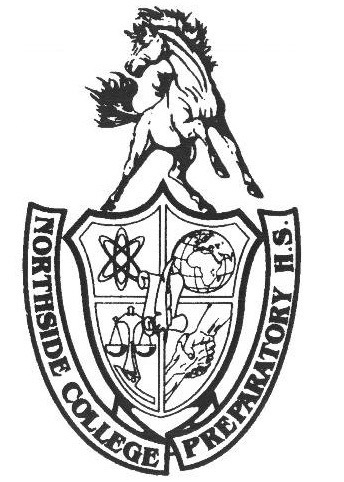 Northside’s robotics team is gearing up for what looks to be a promising season following last year’s achievements. The team, formerly sponsored by Mr. Johan Tabora, Science Department, is currently in the hands of Mr. Eric George, Math Department, with Stephanie Brink, Adv. 803, as the team captain. The team combines mechanics, engineering, and coding to create a robot that is eligible to compete in two competitions throughout the season. In order to successfully construct a robot, robotics is divided into five subteams: Computer Aided Design (CAD), Mechanical build physical robot, Electrical wiring and Programming/Software codes robot. Additional teams include the public relations and business teams, whose main goal is to reach out to sponsors for grants as well as social media management. CAD is in charge of constructing a digital 3D model of the robot to test stress and/or help provide a visual for any needed adjustments. The season can be broken down into three subcategories: preseason, build season, and postseason. Preseason marks the induction of new members and the beginning of their training according to the subteam into which they are accepted. Additionally, during this time, the team undertakes a project that will help prepare them for the building season. Possible projects include prototyping a mechanism or building a frame for a robot. Build season lasts a total of six weeks, and, during this time, the team builds a robot under the parameters specific to those the FIRST organization has created. The postseason is dedicated to debugging the robot and figuring out what worked and what could be improved based on the success rate of the build season. Additionally, during this time, applications for new members are sent out. The Peoria Central Illinois competition is an intense three-day event where high school teams showcase their robots and participate in practice and qualification matches in hopes of being chosen for the final competing rounds. Each year, the FIRST organization hosts a kick-off event to reveal the competition’s theme, which happens to be video games this year. One task is to move and carry two crates onto two different scales, one on the ground and another six feet in the air, with the objective of having the team’s side of the scale weigh the most in order to tip it over. Destiny Cruickshank, Adv. 911, describes the previous year as “challenging, yet worthwhile.” Despite not having received any awards last year, the team achieved some valuable milestones. Last season was the first year in which they successfully constructed a competent robot that could drive and had several reliable mechanisms enabling it to climb a rope, a competition-specific task. The year before, their robot was merely defensive, seeing as it lacked the ability to complete competition tasks. Keep an eye on Northside Robotics as they approach the end of build season and hope to advance into finals for the Peoria Central Illinois Regional Competition from March 14 to 17.